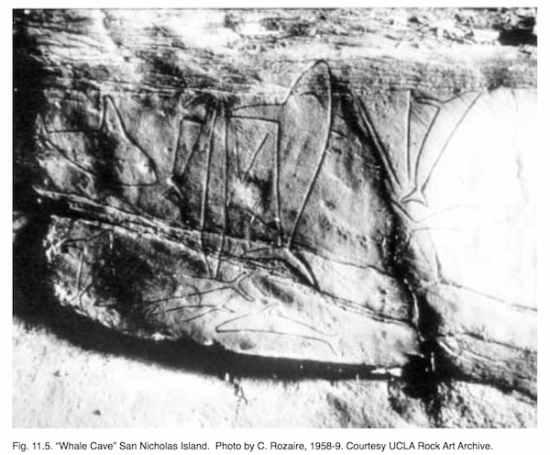 Cave of the Killer Whales, San Nicolas Island is the single rock art site known for this island. It consists of grooved petroglyphs of fish forms and probable killer whales in a sea cave (SNI-53). The main face split and fell in 1959 and was placed in the Southwest Museum in Pasadena (now closed; assimilated into the Autry Museum). In 1978 the upper panel was removed and also sent to the Southwest Museum. This page was last edited on 25 September 2016, at 16:40.